Greetings and thanks for visiting my web site! 2016 is my twelfth year of service to the citizens of Angelina County as the Constable of Precinct One and my 22nd year in law enforcement. The people of our county have been standing behind their law enforcement officers for a long time and we all are very grateful for the overwhelming show of support we have received in light of recent action and rhetoric from detractors of our profession in certain areas of our country. It is an honor to serve the people as an elected officeholder and I do not take that responsibility lightly. The business of my office will always be conducted with honesty and integrity to earn and maintain the trust of those I serve. 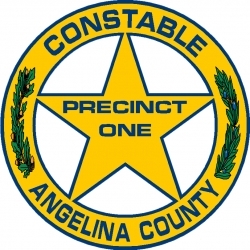 11 Years of service as Constable of Precinct One for Angelina County – 2005 to present. 1980 – 1987 Texas Department of Public Safety – Graduate of Texas DPS Academy Class A-1980 as class valedictorian. Trooper assigned to Texas Highway Patrol in the Beaumont District working under Captains Edwin Pringle, B.F. Wade and Wayne Pullen. Duty stations were in Area 2B4 – Woodville & Livingston under Sergeants Rusty Davis and Roy Henry – and 2B5 – Diboll/Lufkin under Sergeant Dale Nicholson. 1978 – 1979 Diboll Police Department – Served the City of Diboll as a police officer under Chief Dewey Wolf. Feel free to send me a message if you have any questions about the services the constable's office provides, a question on a law enforcement matter or any other item that may be of interest or concern to you. 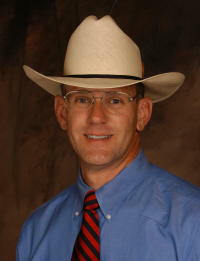 I can be reached by telephone at (936) 634-6984.